What a day of races! We had some great individual and team competitions! As we put the 54th annual McQuaid Invite in our rearview mirror and head into October, I just wanted to thank all of you for taking part in the event! We try our best to make it a great meet. Like every meet, there will be highs, lows and things that could go better. However, without the teams showing up, there is no event! We thank you for opening your schedule to the McQuaid Invite. You are always welcome and we remain humble to serve you! The McQuaid Invite could not be possible without the hundreds of volunteers. Our meet thrives mostly on the passion and care of current parents, parents of alums, former students-athletes and many members of the Rochester community who understand what this event means to so many! Thank you volunteers!! In all, the meet had 8,336 registered runners and 262 teams represented. We had teams in from Canada, California, Missouri, Florida, Virginia, Maryland, Ohio, Pennsylvania and New York! As always, THANK YOU, THANK YOU, THANK YOU! We hope to see you on September 28th 2019! NOTE FROM YEN TIMING: As we are sorting, there are a number of MISSING CHIPS. Please check your packets, etc. and return them to McQuaid Jesuit - Att: Dave Yendrzeski - to avoid any replacement fees. THANKS! Since the 2017 meet, we have been saddened by the passing of two Section V coaches whose runners and teams have done some great things at McQuaid over the years. Dansville's long-time coach, Jim Stewart, died in February at age 79, and East Rochester's Win Hatt left us in March at 75. Today and in years to come, we honor both coaches by naming Race #6 as a memorial for Jim and Race #4 as a memorial for Win. Thank you, gentlemen --rest in peace! A member of the Dansville faculty for 31 years, Jim coached the Mustang runners from 1966 to 1992. During his tenure, his teams won over 300 meets, 9 Livingston Conference Boys’ titles, and 3 girls’ titles. He had six individual Section V champions and, in 1990, coached the girls’ team to a Section V title. 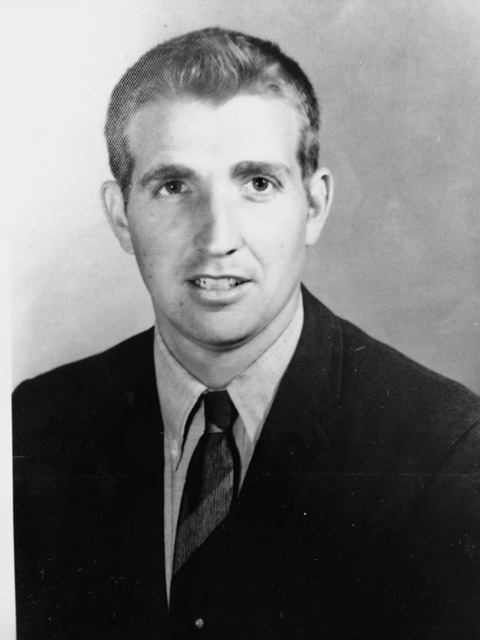 In 1989, Coach Stewart earned the New York State Coaches Association Honor Award. In 1990, he won Section V Coach of the Year honors and had the official Section V program dedicated in his honor. Jim also had the distinct honor of coaching previous Section V Hall of Fame members Heather Swarts, NY State Champion in '89, and Dave Redding, NY State Federation champion in '84. By way of giving back to his sport, Jim also was instrumental in starting the annual Dansville/ Wayland XC Invitational run at Stony Brook Park for many years. He was elected to the Dansville Central School “Wall of Fame” in 2004 and the Section Five XC Hall of Fame in 2016. Jim was a soft-spoken gentleman whose runners reflected his values of self-discipline, dedication, and teamwork. His sons, Dave and Bob, have carried on his legacy as cross-country coaches, Dave at Way-Co and Bob currently at Honeoye. In Win's high school days, he was an outstanding athlete at Webster, part of a memorable hoops team that defeated Franklin for the Section V title. Win coached cross-country at ER for twenty years. His boys teams captured 15 Sectional championships, culminating with a Class D State championship in 2001 led by individual champ Andrew Whitbeck, a Section V Hall of Famer. Win's girls teams won Sectionals three times, and his outstanding runner, Jenny Bartemus, was a 3-time Sectional champ and a top-10 finisher in three state meets. She was inducted into the Section V HOF in 2006, two years after her coach. Win is also credited with coaching ER's two-time Sectional champ Scott Bagley before Scott went on to become Rochester's “King of the Roads.”Win truly loved teaching and coaching young athletes. He considered them “family.” In his fun-loving way, he instilled passion, honor, discipline, and dignity in his runners that made them want to excel in all aspects of their lives. After retiring, Win and his wife Ginny moved to Texas to be close to family. Typically,Win was involved in community and church activities until his death.